Those places with the highest power prices in the world (Ontario, Denmark, Germany and South Australia) have a few things in common: an obsession with wind and/or solar and zealots in charge, hellbent on driving that obsession. Over the last decade, Ontario has been overrun with these things: driving power prices through the roof; driving neighbours nuts and out of their homes, altogether; and wrecking underground water supplies. From Kathleen Wynne down, Ontario’s government has done everything in its power to destroy once peaceful and very prosperous rural communities. Here’s a primer on how the disaster started. 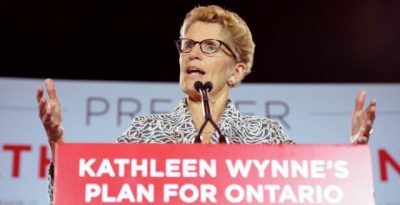 The deluded obsession that wrecked Ontario. Rob is correct. It may be the politicians that got us into this, but it’s the media that enables this consumer fraud to continue. Their coverage is completely subjective. Not one investigative or objective article can be found here in Maine. In fact, the much adored wind turbine at the University of Maine in Presque Isle caught fire and burned on April Fool’s Day. Not a peep about it in any of the newspapers. Not surprising. I love this site and have learned a lot. We are a small town in NSW AUSTRALIA, beginning action to stop 98 wind turbines,220 metres high planned for the area above us, the foothills of the Great Dividing Range. The Australian government is set to swamp this area and all along the range with turbines. Our town concentrates on our tourism value and even though our residents only number 300 huge efforts of businesses have been made to keep with old gold mine traditions. It is a beautiful place with a richness of history, threatened rare wildlife. The one thing that worries me on your site there is a bit of politician bashing. Whoever is responsible for this con, I don’t know. It’s happened and we here are in dire need of strategy with which to fight for our little neck of the woods. Thank you very much. STT is glad that you find our site helpful. That’s why we do it, without a penny for reward and with no connections to any lobby group, business or industry group. STT criticises politicians who created the mess, and we will keep criticising them until they fix it. There are dozens and dozens of communities just like yours, being thrown under the bus by cynical politicians and bureaucrats, all doing the bidding of rent seekers cashing in on the $60 billion in subsidies made available under the Federal government’s LRET. So, if we are hard on the politicians responsible, so be it. They deserve every kick they get. 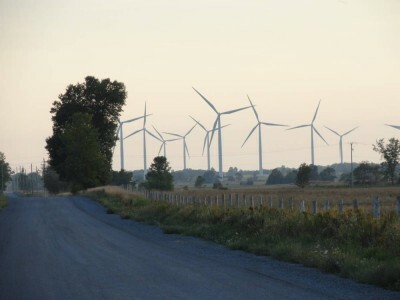 In Chatham – Kent area of southwestern Ontario Canada a wind farm project (34 turbines) North Kent 1 has destroyed 20 families’ rural water wells. It is a geological sensitive area with Kettle Point Black Shale bedrock, containing toxic metals. Our government is taking the side of Samsung – Pattern Energy and has turned their backs on the Ontario people. Our government is shameful. Can STT please obtain and publish a copy of the Monash Forum’s founding document. Some clarity about their bone fides is sorely needed. We will do so soon. Rob, the Monash Group’s manifesto is set out in an article in the Australian posted at 5.30 PM 3/4/18 under the National Affairs heading, titled Ginger Group Call on Govt to invest in Hazelwood 2.0, by Greg Brown and Rachel Blaxendale. It is still available in the online OZ not sure whether it made it to the hard copy version. The Monash boys have certainly got the GreenTards in Turnbull’s poor apology of a government whipped into a frenzy and the story in today’s OZ by Paul Broad, head of Snowy Hydro contained more lies and outright Bull S..t than Sco Mo’s pitiful out burst the day before. I have been getting a lot of my totally Factual posts in the OZ wiped in the last few days. It seems any praise of the Monash Group or negative comments about Trumble or Wind Power or his totally insane Snowy 2.0 will not be tolerated. Obviously Team Turnbull is using its influence over Rupert’s illinformed moderators. Until the media and professional journalists can lift their game and get ahead of the mindless ideology that’s driving the rush into renewables, we are doomed to suffer higher prices and the horrors of grid instability. We need engineers of Sir John Monash’s ability and stature to get us out of this current horrible mess. In the absence of such saviours the Monash Forum may help to fill the void. More strength to the Monash Forum’s arm!